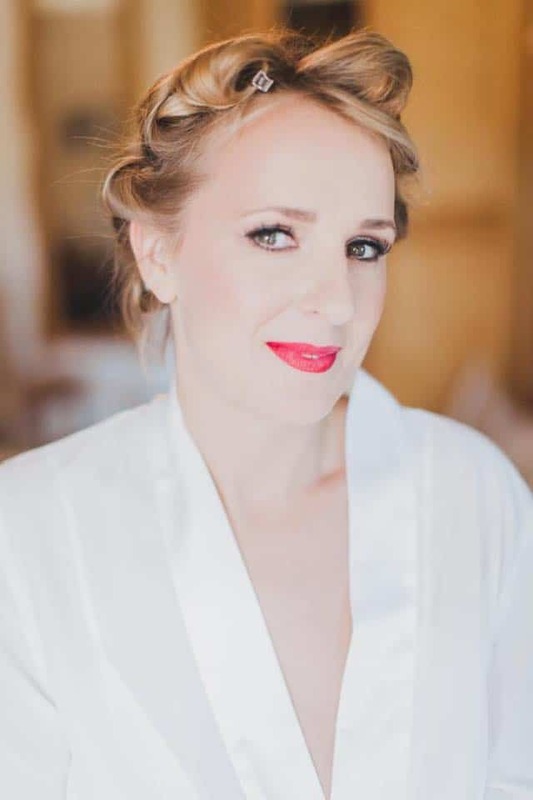 Louise Lunn shares on her favourite products to get the bridal glow. 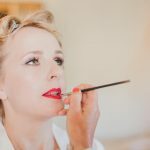 Following on from my recent post of Clare & Richards wedding, I thought I would share with you some of the essential products I used to create Clare’s flawless and radiant wedding make-up and how to get the ‘Bridal Glow’. I can’t stress enough the importance of following a thorough skincare routine. It makes a huge difference in your skin’s texture, gives the perfect base for make-up and therefore the best possible results to the make-up application and longevity. Don’t leave it until the last minute to think about your skin – the longer you have to correct any skin issues, the better. If you haven’t been diligent about your skin-care routine, now’s the time to begin. Clare took all this on board and invested in the collection of Antonia Burrell Holistic Skincare products. Pigmentation + large pores + acne. 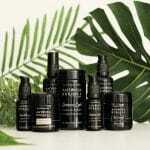 100% natural, toxin free and plant powered, Antonia Burrell products are proven to clear, restore, repair and bring out true natural beauty of your skin no matter what your skin type or tone. 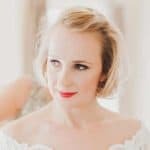 Clare’s skin on the wedding day was a make-up artists dream to work with, it was supple, radiant and clear and was glowing from within – she had the Bridal Glow. The Antonia Burrell range can be purchased here. 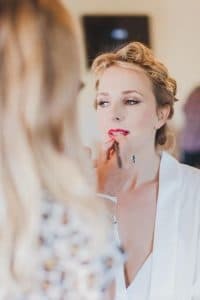 The essential make-up products for the Bridal Glow. 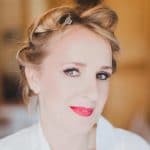 Clare’s make up was timeless and elegant and created with a selection of products from Charlotte Tilbury, Studio10, Bagsy and MAC. 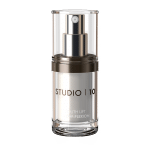 First I applied Studio10 Youth Lift Glow-Plexion Primer to Clare’s moisturised skin. This unique, multi-tasking primer and radiance creme is glitter-free, lightweight on the skin with an advanced binding technology to ensure makeup lasts longer throughout the day. Enriched with anti-ageing Suberlift to firm and tighten skin and hyaluronic acid and vitamins C & E to hydrate and protect. Studio10 Age Repair Perfect Canvas in Light was then brushed lightly over the face. This all-in-one advanced treatment foundation redefines the complexion for intensely hydrated, conditioned and airbrushed looking skin. The ultra-lightweight ‘true-skin’ and colour-adjusting formula smooths and blurs the appearance of fine lines, open pores and uneven skin tone. 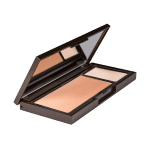 A firm favourite of mine when it comes to creating that natural flush to the cheeks is Studio10 Plumping Blush Glow-Plexion. This universal peach shade with flattering golden undertones gives radiant, glowing skin in an instant. Enriched with plumping active Adipofillª, light reflecting pearls and natural polymers to help absorb excess oils for long-lasting results. For the Bridal Glow I applied Studio10 Radiance Glow Bronzing Veil. This super-fine, jet-milled powder formula feels silky smooth and weightless on the skin; meaning it doesn’t cake or settle into fine lines. The perfect balance of red and brown tones gives the most natural-looking tan, without looking orange or muddy. The Bronzing veil is paired with an illuminating powder. 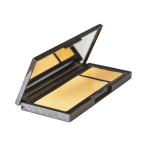 I applied this to the high points of the face (cheekbones, tip of the nose, brow bones, and cupid’s bow), this gives you a lit-from-within glow and was the final touch for the ‘Bridal Glow’. The lipstick used was Bagsy statement red lipstick by Savannah Miller in the shade Vermilion. 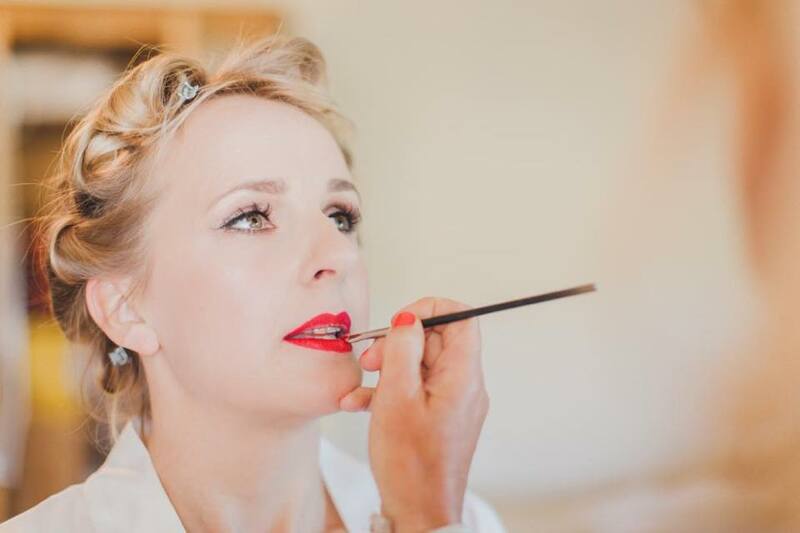 This is a classic red lipstick created to suit a variety of skin tones and hair colours. 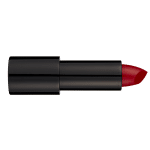 The luxury formula contains a blend of vitamins A, C and E to condition, smooth and moisturise lips for a comfortable wear with a modern satin-matte finish. 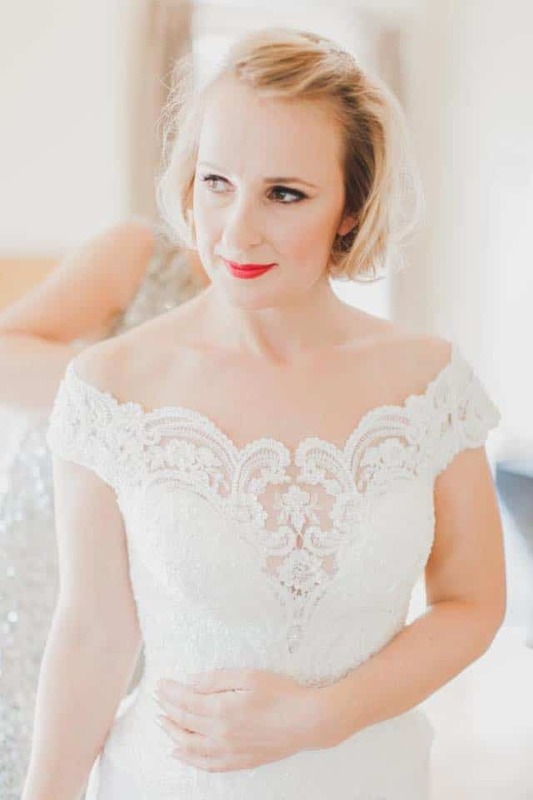 Clare’s statement lips gave a beautiful contrast against pure, clear skin and accentuated her Bridal Glow.